Operation Michael, Ludendorff's March Offensive in the Somme sector, had drawn British forces to defend Amiens, leaving the rail route through Hazebrouck and the approaches to the Channel ports of Calais, Boulogne and Dunkirk vulnerable. German success here could choke the British into defeat. The next attack, code-named Operation Georgette, started on April 9th after a firewaltz. The Portuguese defenders at the point of attack were rapidly overrun, but the British resistance on either flank held and threatened the German breakthrough. Despite this and other Allied actions, the Germans made rapid progress and, without French reinforcement, it was feared that the remaining 15 miles to the ports could be covered within a week. However, the German offensive had stalled because of logistical problems and exposed flanks. Counterattacks by British, French, Canadian and ANZAC forces had slowed and stopped the German advance. 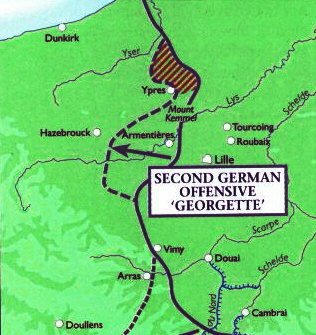 Ludendorff ended Georgette on April 30th. As with Michael, losses were roughly equal, with approximately 110,000 men wounded or killed on each side. Again, the results were disappointing for the Germans. Hazebrouck remained in Allied hands, and the flanks of the German salient were vulnerable. From the German History Notes website. Professor Matthew Bruccoli at the University of South Carolina is a leading authority on F. Scott Fitzgerald, but he has another mission he pursues. His father Joseph's service in the Great War shaped his own life as much as it did his dad's. Joseph, an American soldier, found himself driving a Pierce-Arrow truck in a unit attached to the French Army. He managed to find the front lines in eight major campaigns and returned from the war both wounded and shell-shocked. He retained, however, his love of country and his appreciation for his fellow soldiers who served alongside him, Over There. He passed on these values to his son, who shares them with his students and colleagues today, in an often hostile academia. Inspired by his father's service and patriotism, Professor Bruccoli has spent a lifetime gathering artifacts, books, music, posters and memorabilia from the war for researchers and to keep the spirit of the Doughboys alive for posterity. The collection is so vast that it is housed at two major libraries, the state universities of South Carolina and Virginia. Studying the literature of the war is a secondary academic specialty of Professor Bruccoli. He has become a leader in rediscovering some of the classics of the war--novels, memoirs and personal statements that are often forgotten today. Earlier in his career he participated in the release of Thomas Boyd's U.S. Marine Classic Through the Wheat with Southern Illinois University Press. He has now combed the archives of the Bruccoli collection and has persuaded his university press in South Carolina to release ten of these forgotten literary gems in a series. Naturally, he has dedicated it to his father, Joseph Bruccoli. The first five releases are now available and are displayed on the right. They are printed in quality paperback format and are beautifully designed as a set. The second group of five titles are planned for release in late 2008 or early 2009. The second batch will include the story of the British retreat in March 1918, an account of Australian service on the Western Front, and an all-verse account of battlefield experience in the American Army edited by Trip-Wire reader Bradley Omanson titled This Man's Army: A War in Fifty-Odd Sonnets. The story of disastrous Battle of Gallipoli is told in the 2005 documentary Gallipoli (Gelibolu in Turkish). Produced, written and directed by Tolga Örnek, this is the best film I have ever seen on Churchill's disastrous Dardanelles campaign. And that includes the excellent 1981 feature film, Gallipoli, directed by Peter Weir and the well-done documentaries from Cromwell Productions. Gelibolu, the most successful documentary in Turkish history, was six years in the making from preproduction planning to production and editing. Eighteen months of research were done before work started on the script. The location shooting lasted about forty days. Footage was shot on the Gallipoli peninsula in April to capture the color and light that was present at the start of the campaign. Dugouts and trenches were built on the Aegean Coast on the Dardanelles at a military facility for the reenactments and extensive explosive sequences. After a trip to Australia and New Zealand for interviews and archival film material, the filmmakers returned to Turkey in the fall for additional location shooting. The moving narration is shared by Jeremy Irons and Sam Neill. The wide-screen production values are very high and use photo animation techniques of still photos, archival film footage and carefully done reenactments to tell a compassionate story of more than 120,000 deaths by machine gun and rifle fire, artillery, mines and dysentery. Men swelter in the heat, drown in flooded trenches and freeze to death in winter. Extensive research in every country that held collections on Gallipoli allowed Örnek to base his narrative structure around the letters and diaries of eight Allied and two Turkish soldiers and uses quotes from twenty-seven different soldiers and officers. Only 5 percent of the Turkish troops were literate, limiting the correspondence and diaries the filmmakers could use. The individuals selected represent all the troops, their different backgrounds and their reasons for being there. Each of the ten main protagonists is developed as an individual character and personality, something that is not always easy to do in a documentary. Over the course of the campaign, these men endure suffering and death. The film covers the changes in their personalities. Gelibolu focuses on the shared suffering and sacrifice endured by both sides. There is no glory of nationalism depicted, only the horror and degradation of war. In response to Turkish criticism Örnek has stated in a 2005 interview with the World Socialist Web Site that his film, 'Doesn't have a nationalistic agenda, it is not a propaganda tool, nor is it concerned with promoting Turkey. My film is about ordinary soldiers and makes clear that the real enemy is not people but war itself." British officials and highly placed strategists approved the campaign without heeding warnings against an assault by land or sea. The stated goal was to capture the Dardanelles and allow Allied ships to supply Russia. But the Allies had no post-invasion plan. They seemed to expect that the Turks would simply surrender and go along with whatever the Allies wanted. The similarity between Gallipoli and our current efforts in Iraq is obvious but, according to Örnek, unintentional. In the 2005 interview with the World Socialist Web Site he stated, "I didn't plan to make these parallels in the film, but it is so obvious. One thing history seems to teach us is that we don't ever seem to learn from history. The British generals had no real idea about what they would face from the Turkish military. 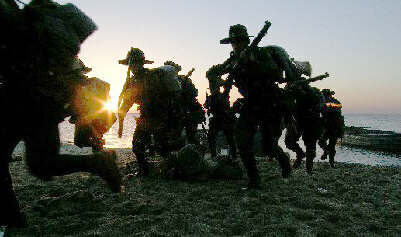 They didn't know what would happen after their troops came onshore or where they would go. It is the same situation in Iraq. The U.S. government simply declared to the rest of the world that they would capture Baghdad depose Saddam and then somehow the Iraqis would agree and accept this. The parallels with Gallipoli are uncanny." How did the Australians feel about a Turkish filmmaker telling the story of Gallipoli, regarded as a defining terrible moment in Australian history? Örnek was awarded an honorary medal in the general division of the Order of Australia for producing Gelibolu. 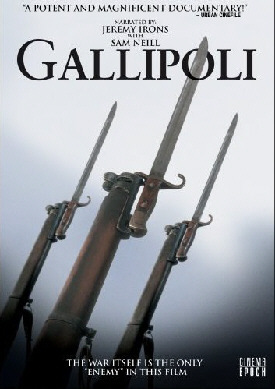 Gelibolu has been released on DVD as Gallipoli from Epoch Media. It is available on-line from Amazon and Netflix. I highly recommend it. The following are thanked for their contributions to this issue of the Trip-Wire: Len Shurtleff, Tom Jones, Leo Benedetti, Steve Miller, Tony Langley (L'il Bob's translator), Christina Holstein, Tony Noyes, Andrew Melomet, Kimball Worcester and Matthew Bruccoli. Until next month, your editor, Mike Hanlon.